A two hour drive north to Anacortes and a Washington State Ferry ride west will get you to the three major islands: Lopez, Orcas and San Juan. I like to leave my car at the Anacortes dock and walk aboard. Are you looking for Orca Whales? One of your best chances to see these elusive creatures is in the San Juan Islands. Whale Watching cruises leave from the Friday Harbor marina, next to the Ferry Terminal and sail through the San Juan Islands in search of Orcas. 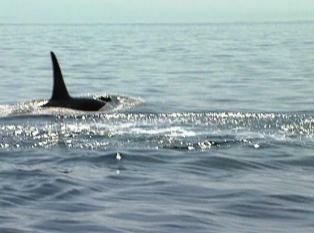 You may also see Orca Whales from Lime Kiln Point State Park on the west side of the island. Catch a bus or rent a moped for the 5 mile ride to the park. From the western shore watch for pods of Orcas as they swim passed the park in search of salmon. Back in Friday Harbor stop by The Whale Museum for detailed Orca information including calls between Orcas. Visit Front Street stores and galleries to see works by local artists and crafter. Is it time for a meal? Whether you’re looking for fish & chips to eat in the park or a salmon dinner at a waterfront restaurant you’ll find it in FridayHarbor. 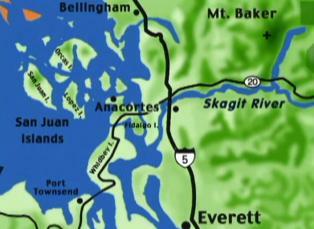 Before exploring the other San Juan Islands consider an overnight stay in a local B & B or a village hotel. Want to enjoy the best sports the San Juan Islands have to offer? Kayak the quiet coves, hike a forested trail, beach comb along an island shore, bike to Deer Harbor, go salmon fishing or just enjoy views relaxing on your resort deck. The Washington State Ferry sails on from the San Juans to Sidney, British Columbia in Canada. Go into the city of Victoria for a very British experience! See my Victoria and Vancouver Canada pages for details. As you sail back through the scenic San Juan Islands, watch for Mount Baker on the eastern horizon. From the Anacortes Ferry landing drive Hiway 20 back to Burlington and Interstate 5. What about stopping for coffee in La Conner before you hit the freeway? You’ll find the turn off to La Conner by the popular Farmhouse Restaurant. In addition to coffee shops and bakeries take time to browse the gift shops, galleries and the Northwest Art Museum in this historic fishing village. 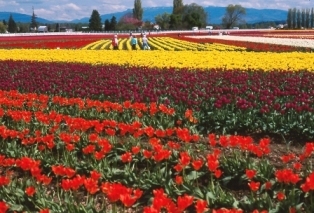 Drive through the Skagit Valley, famous for its Tulip Festival. The spring fields are a blaze with colorful tulips and daffodils. Bulb farms feature display gardens of flowers to order. One other suggestion: on the way back to Seattle, I like to stop for a meal at the Tulalip Casino in Marysville. You can enjoy a salmon dinner at a reasonable price and try out the casino’s penny slots. 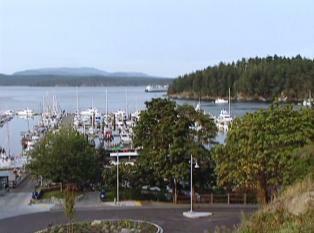 Have a fun San Juan Island trip!